As tech becomes more and more integrated into how we do business, it’s natural for small to medium-sized businesses (SMBs) to look beyond their team for ways to augment and possibly outsource IT capabilities. Outsourcing IT support can come with many benefits, but it’s important to have a handle on your expectations and whether or not you’ll get what you need from your tech partner. Here are the key questions you need to ask before you take the plunge. 1. What Are Your IT Goals? Before you commit to outsourcing IT support, you need to take stock of what role tech plays in your business and where you need help. While it’s obvious that you use tech tools and the cloud to get work done, it’s important to take the time to map out what you use when, as well as how outsourced IT can play a role in supporting you. For one thing, these things cost money, and you want to have a handle on how much you value the extra help. You also need to know what you’re looking for before you can go out and buy it. When you’re looking to outsource IT, some goals may be to increase performance, speed up response times, improve security and backups, or get your compliance up-to-speed with the current rules and regulations. Obviously, your goals are going to change based on your industry and level of reliance on IT, but working with a template like a Strengths, Weaknesses, Opportunities, Threats (SWOT) analysis can be extremely helpful for understanding your needs. 2. What Tasks Do You Need to Accomplish? When it comes to IT for small business, we can put the jobs that need to be done into three general buckets. First, there are the daily problems that come up. These are issues like, “I can’t print,” “I can’t connect to the network,” “My device doesn’t work,” etc. Generally, you need someone to intervene and determine what’s going on locally to work out a solution. Secondly, your network and devices need regular maintenance. Patching and updates are a critical part of maintaining good network security. You need to stay on top of keeping everything up-to-date, or an attacker could find something to exploit and compromise your data. Also in this category are tasks like backup monitoring and security check-ups. In short, it’s the kind of thing you need to do once or twice a month to ensure that you’ve crossed your t’s and dotted your i’s. The final category is for new projects. Sometimes you need to add more capabilities to your network, whether that’s more server space, new devices, adding new employees, or even something like opening a new location. These kinds of tasks are on-demand, but you probably need some boots on the ground to accomplish them. 3. What’s in the Service Level Agreement (SLA)? When you outsource IT support, or really just about anything, the end-all be-all is the Service Level Agreement (SLA). The SLA is the contract that determines what you’re getting when you pay a service provider, and it’s important to understand what goes into that. Many IT outsourcing companies offer “all-inclusive” packages, but you don’t want to learn what that doesn’t include when you really need it. A good question to ask when you’re talking to a salesperson is what will get you a bill beyond the monthly service fee. What are the extras? 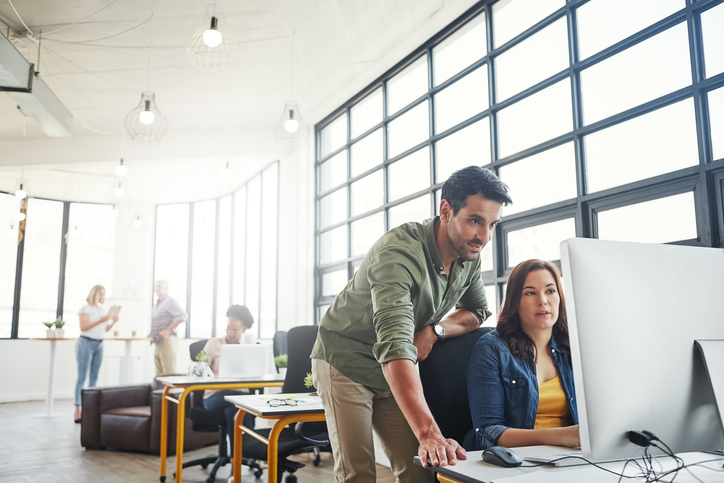 If you’ve already figured what you need from a potential IT partner, you’ll understand better whether or not what they’re offering is a good deal for your small business. On the flip side, you also what to know what you’re already paying for so you can be sure to get the most out of your contract. 4. What Is Their Approach to Security? One question to ask a potential technology partner is how they approach their own security. This might seem like a bit of a tangent. After all, it’s your security that you’re concerned about, not theirs. But let’s reframe this conversation a little bit. A prospective IT security vendor isn’t just responsible for your business—they’re responsible for everyone they’re partnered with. That paints a big target on their back for potential cyber attackers. Understanding how they approach this problem will let you know they take security seriously and that your data is secure. 5. What Will Change for My IT Staff? If you already have people on your team who deal with IT, it’s understandable that they’ll want to know how outsourcing IT support will affect their jobs. The good news is that you still need people on-site to handle day-to-day issues. More importantly, it’s not that their jobs will disappear—in fact, it’s more likely that their priorities will shift. Without the daily need to put out fires and keep your tech tools running, you can free up your IT staff to shift from a reactive mindset to something more proactive. Your team can start to look at your business needs and how you can leverage new tech solutions to get more done. By taking things like patching and network maintenance off their plate, you can shift into the digital transformation business. The conversation around outsourcing IT support for your business can be complicated because there are a lot of balls in the air. You need to balance your SMB’s needs with what makes sense for your budget, while also figuring out where your current team can have a role. By asking the right questions, you’ll know whether or not a potential technology partner is a good fit for your business. ● Have a firm grasp on your IT goals before you talk to vendors. ● Understand what tasks you need IT to accomplish. ● Take a close look at the SLA. ● Ask vendors about how they approach their own security. ● Help your IT team get more proactive.